Limited Time Offer – Faith, Discovery, and Transformation is available for all new Annual Choose Life Now members. Bonus closes August 6, 2016. An eight-week online study course is specifically designed to guide you through an interactive study to transform your life through prayerful examination, God’s Word, and the help of the Holy Spirit. Learn about your special gifts. Your purpose. Your future as a precious child of God. Limited Time Offer – Strengthen My Faith for Answered Prayer is available for all new Annual Choose Life Now members. Bonus closes August 6, 2016. A 4-part online Bible Study that opens the Scriptures in a way to lead you into stronger faith so you can receive the blessings God has for you! Learn how to meditate on God’s Word. Discover your identity in Christ. Uncover the power of your words. Here are the valuable bonuses that you will receive when you make the choice to “Choose Life Now” with us! + The Choose Life Now eCookbook — a great collection of healthy and easy-to-prepare recipes that you and your family will enjoy! Appetizing meals with wonderful flavors . . . and you’re getting healthy all at the same time! + A Four-Week Quick Start Guide and Meal Plans — if you want a specific meal plan to follow, this will quickly launch you into healthy eating and time-saving meal planning! + Stretch the Dollar Meal Planning Worksheets – a super useful guide so you can plan economical meals while still providing great nutrition and satisfaction for you and your family. Our new Annual Members also receive these super beneficial courses to help you bring Christ into every part of your life! + Discovery, Faith and Transformation – an eight-part home-study course that will help you discover the unique gifts and talents your Creator planted in your soul . . . and then how to use your faith to realize God’s will for your life! You will learn how to use your gifts to serve Him and His people . . . and how to fulfill His unique call on your life. + Strengthen My Faith for Answered Prayer – a four-part home-study course that will lead you into deeper faith and a lifestyle where you are more dependent upon Christ. Learn a powerful and unique way to meditate on God’s Word so that His truths are planted deeply in your heart! Learn to live a faith-driven life that pleases the Lord. + A 30-Minute One-on-one Coaching Call with Me! – I’ve never offered this before only because of time! But this is the truth! I want you to realize the success that you can have! And I want to help you get there! So after you’ve started in Choose Life Now and you’re getting things underway, we will jump on the phone for a “just you and me call.” I’ll help you identify the things that are keeping you from fast success and we’ll lay out a plan of action that is doable and just right for you! I am only offering this to you and others who were on the live call or listened to the replay video! Those are our bonuses! But in my opinion the real bonus is all you will receive when you take part with our other members in the newest addition to the Choose Life Now Curriculum! It’s called Make the Shift. Here is what you will receive when you make the choice and join me and others! * 10 LIVE Make the Shift Online Teaching Calls – Join me and other Choose Life Now members for weekly calls that focus on what you really need to make changes in your life that won’t be temporary . . . but instead develop a lifestyle filled with joy, excitement and health! It’s all a Christ-centered approach to marvelous living! Plus, all the calls are recorded! So if you can’t join the live call you can listen to the exact same teaching when it’s convenient for you! * The All New 90-Day Challenge Series – This is the most popular part of our Choose Life Now Library. It’s a series of 65 short video messages, along with PDF downloadable worksheets for each lesson. The lessons are short so most of our member use them as part of their morning Bible study time. Bit by bit . . . and step by step . . . you will experience the transformation that consistently feeding on God’s Word, along with sound healthy principles, makes possible. * Choose Life Now Ten Habits for Healthy Living – I will introduce you to the ten simple to understand principles that will change your life forever. When you consistently practice these uncomplicated habits so that they become your way of life . . . you will never have to diet again! I explain them all in video messages so you can grasp them and make them part of you life. * Choose Life Now Boot Camp – An effective seven-part series of lessons that leads you step-by-step into a Christ-centered healthy life. You’ll learn about meal planning, saving money, developing healthy habits, prayer and meditation, and much more. Our member treasure this series of hour-long teachings. * The Original 90-Day Challenge – I created this compelling series of 65 video lessons when I first started Choose Life Now. Each lesson is accompanied with a PDF downloadable worksheet so you can incorporate what you are learning with your own life. It’s a recipe for transformation into a healthy way of being. Not for a little while (like a diet), but for the rest of your life! Hallelujah! 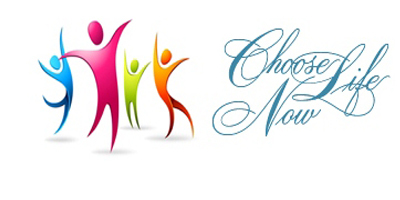 * Private Facebook Group – This is where you can interact with other members by joining our Choose Life Now private Facebook Group. Seek and give prayer, support, encouragement, and practical tips! It’s where you can connect with like-minded people for support and inspiration! * Plus so much more . . . When you enroll you will receive the bonuses (only available until Saturday morning). PLUS, all the lessons, features, and benefits already part of Choose Life Now. Then, you will immediately be enrolled in our Make the Shift LIVE Online Teaching Series that starts this Saturday. Remember, if you can’t make the live sessions the replays are all available so you can watch them later!